Palami is confident the entry of a high-caliber coach in Swede Sven Goran Eriksson, a stronger line-up, and a better system of play will lead the Azkals to glory in the regional tournament, where Thailand is defending champion. 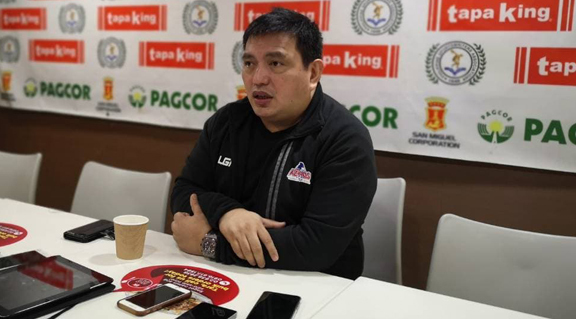 "For me this is where it all started for the Azkals that’s why, the importance of winning the Suzuki Cup is paramount,” said Palami at the Philippine Sportswriters Association Forum at the Tapa King Restaurant in Farmers Plaza, Cubao on Tuesday. But the Philippines failed to get past the group stage in the 2016 edition of the tournament. “We needed the courage and the guts to sell the idea to Sven of leaving a legacy in the Philippines and of course, the partnership with M Sports somehow assured me of the proper resources of going after a high-caliber coach like Sven,” Palami said.